 The Endowments & Foundations Consulting online course teaches advanced methods for institutional investment consulting with endowments and foundations clients. Course participants learn the unique dynamics of advising non-profit clients, key principles of successful consulting and investment management, and best practices for maintaining a rewarding relationship. Content for the course is segmented into 7 learning modules. Modular learning includes readings, lectures, case study, sample documents, and supplemental videos. For a more detailed description of each module, download the course overview document. Please note that this is a course. Successful completion of this course does not result in a professional designation or credential. This video series is informational only and not eligible for continuing education (CE) credit. Reported on your behalf to CFP Board within 2 weeks of completing the full program. The CFP ID field on your Institute account must be complete and accurate for this process to take place. To verify: log in to your account, navigate to the “dashboard”, and click “update my demographic information” on the right-hand side to locate the CFP ID field. The Institute is proud to be a CE Quality Partner of CFP Board. Certified Financial Planner Board of Standards Inc. owns the certification marks CFP®, CERTIFIED FINANCIAL PLANNER™, CFP® (with plaque design) and CFP® (with flame design) in the U.S., which it awards to individuals who successfully complete CFP Board's initial and ongoing certification requirements. Upon successful registration, learners will receive two emails: one including a transactional receipt and a second including navigation instructions for accessing the content. From the Dashboard, click the "Online Learning Center" link in the left navigation.